We’re proud to announce that Produce UK’s Creative Director, Lee Baker is working with Turner prize nominee and acclaimed artist David Shrigley on a new project for the Brighton Festival. Lee and David first collaborated on the Skip Gallery project, which Catherine Borowski (Produce Founder & CEO) and Lee Baker curated in June 2017. David latterly referred to the Skip Gallery project as “the finest moment of my career” and since then he and Lee have forged an exceptional creative working relationship. 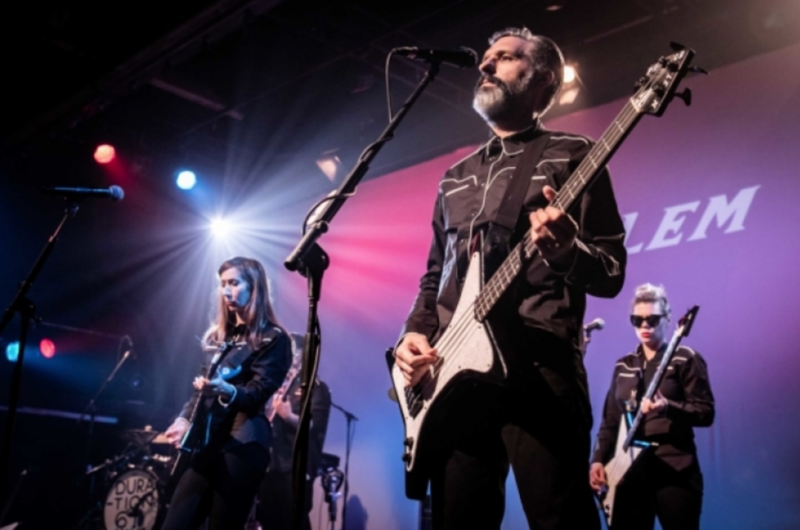 Lee has been commissioned to create the music for a new ‘alt rock pantomime’ piece entitled ‘Problem in Brighton’ which David is creating as a part of his role as curator of the Brighton Festival. The piece stars Pauline Knowles and Gavin Mitchell and will feature instruments created from David’s illustrations. It is the first of a series of new creative projects that are in the pipeline. Look out for a cameo from Catherine Borowski who will be playing the one-stringed base as part of the evening performance on Thursday 10 May. The Brighton Festival takes place from 5th – 27th May 2018. 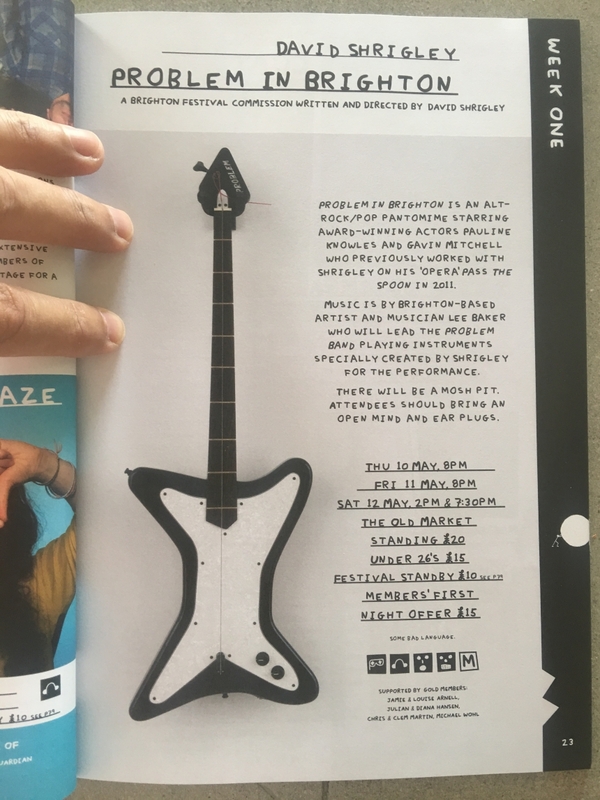 Images taken from @davidshrigley ‘s Instagram and the official Brighton Festival programme.